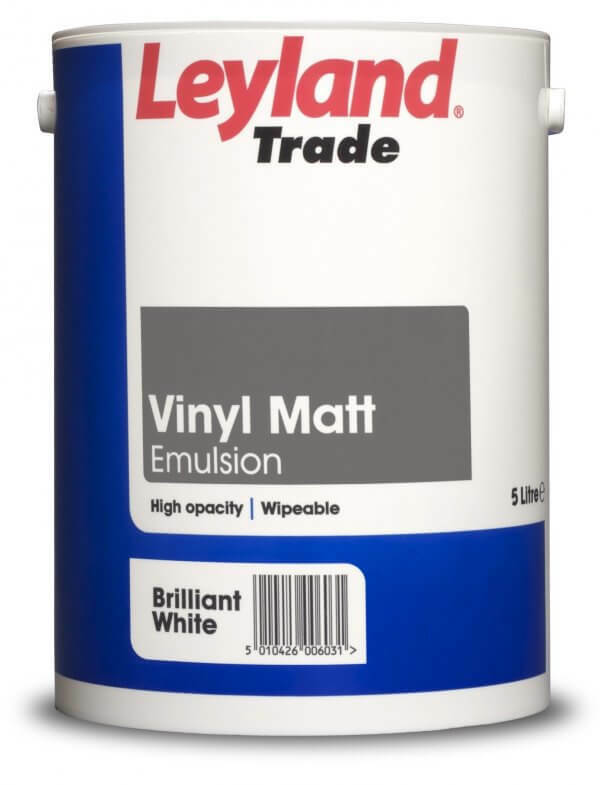 Browse our selection of Leyland Trade paints here all in a brilliant white finish! After a beautiful crisp white in a high quality finish? 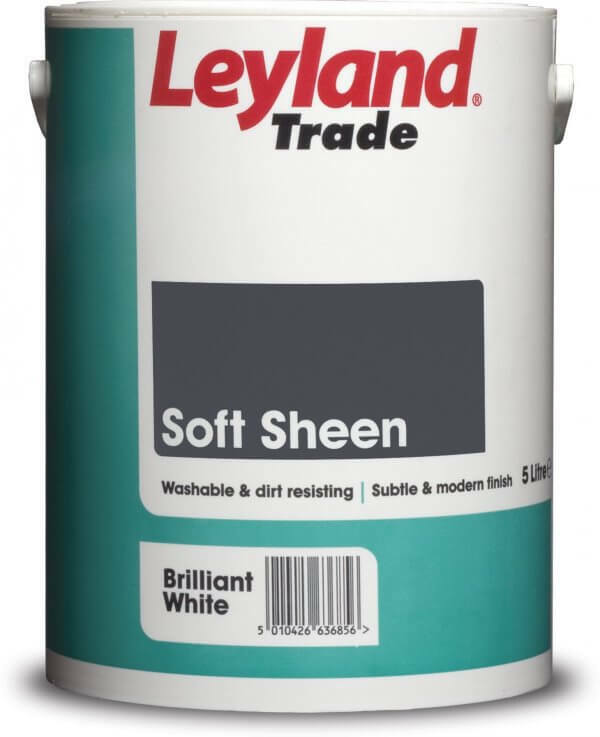 Look no further than Leyland Trade, the tradesman's choice in paint! 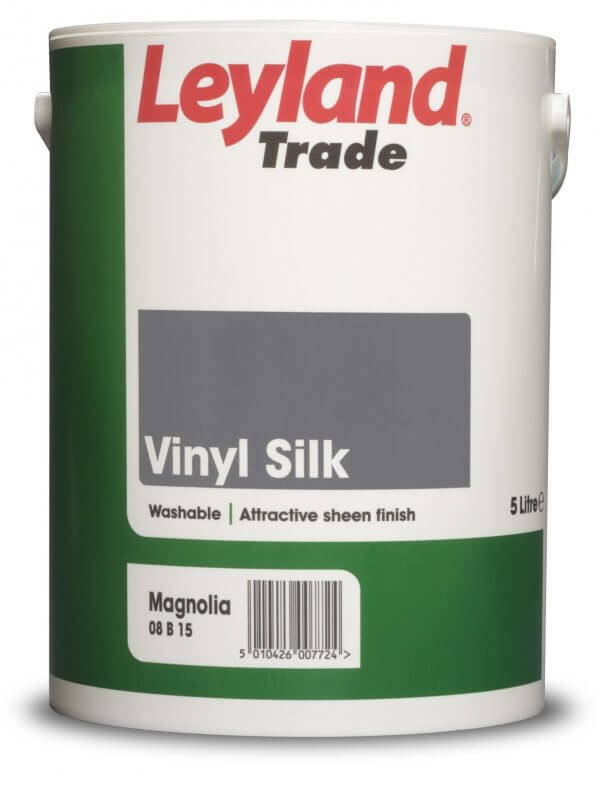 Leyland has a long and distinguished history as an honest, trusted and reliable brand for the tradesman, and with over 90 years of experience there isn't much they don't know about paint! With a beautiful consistency and excellent covering, you will achieve a professional finish in a fraction of the time. There is a reason that Leyland is the tradesman's choice. Acrylic Eggshell is a quick drying, low odour, eggshell finish suitable for wall and ceiling surfaces in most interior situations in addition to your interior woodwork. It is 10 times tougher than conventional matt and silk and is therefore a 'go-to' product for your kitchen and bathrooms where you experience extra moisture and stains. 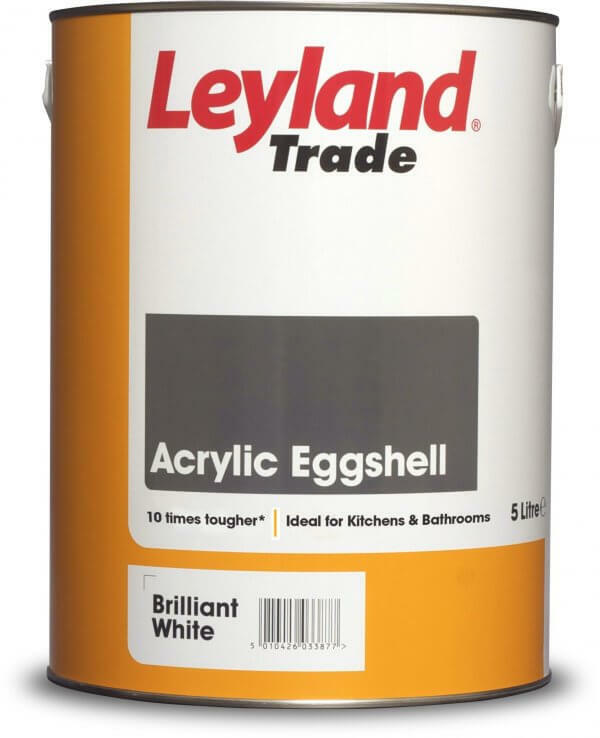 Acrylic Eggshell coverage is 12m² per litre. Struggling to select which paint finish is right for your room? Visit our Which Paint? questionnaire here and let us help you narrow it down. Please note that colours displayed are a guide only and can not be guaranteed due to differences in screen resolution. We cannot accept returns on mixed paints unless there has been a fault with the product.